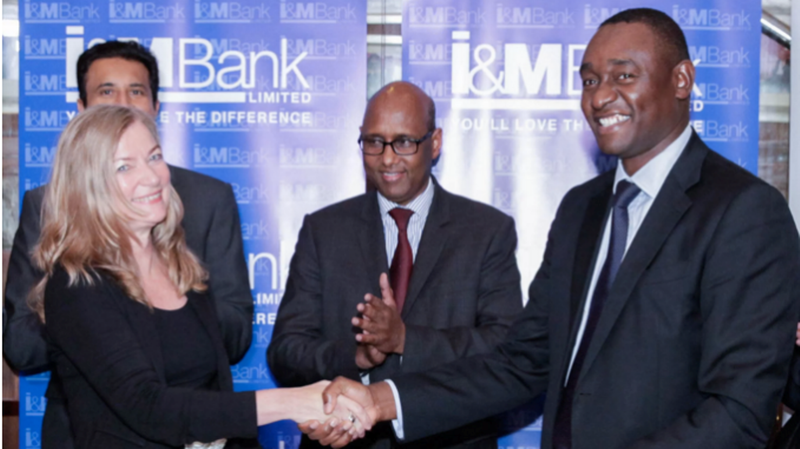 The I&M Bank together with the Deutsche Investitions- und Entwicklungsgesellschaft “German Investment and Development Corporation” (DEG) this week inked a deal that will see German businesses in East Africa have a special “German desk” at the bank. The desk is set to boost German business in East Africa. The German Desk will be established at the bank’s major branches in Nairobi, Mombasa and Kigali. It will provide strategic services to German private sector companies who have established their operations in or plan to penetrate the East Africa region. The German desk will also serve as a one-stop shop in the provision of all banking services that include banking account, provision of short to medium facilities, trade finance and transaction banking services and other requisite financing needs of companies being engaged in German-Kenyan business activities. Speaking when he confirmed the sealing of the strategic partnership, I&M Bank Kenya Chief Executive Officer Mr. Kihara Maina said the bank will leverage on its geographical spread, branch network and customer base to provide a credible channel for exchange of German and Kenyan goods and services. “We are proud to make continental banking history as the first bank in Africa to host a fully-fledged German desk as part of our commitment to improve banking services in this market,” Kihara said. “We are delighted that with the German desk the opportunities for financing for local companies are expended. This is crucial for fostering the further industrialization of the region,” said Ms. Maren Diale, country director of the Delegation of German Industry and Commerce. The German desk at I&M will be established in cooperation with the Deutsche Investitions- und Entwicklungsgesellschaft “German Investment and Development Corporation” (DEG) and the Auslandshandelskammer in Kenya “German Chambers of Commerce Abroad” (AHK).